I have read many haunted house books and seen many others related to haunted houses and operation. Below I have listed what in my opinion are the 5 best. This book now with several follow-up series has some wonderful props and effects in it. Shawn & Lynee have done a wonderful job of detailing out the projects and have given written and vivid photography of the processes. 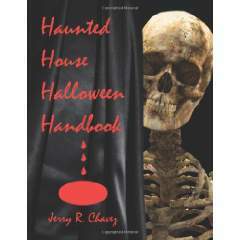 Jerry Chavez has created a wonderful haunted house book. He covers all kinds of areas from props to business. Focused mostly toward charity haunts it covers everything you need to get up and running and a small budget. Every October, schools, civic clubs, scout troops, little leagues and charity groups of all kinds sponsor Halloween “haunted houses” as fundraisers. But where do they go for good information on how to do it? How to make the rotting corpse that scares the bejeebers out of everyone or the demonic knife-wielding doll or the living, beating heart that visitors swear is real? And what about the mundane details (e.g., permits and insurance) that make the haunted house a profitable and safe venture? Where does one find out about that? All aspects of the successful haunted house are covered here. There is good information on site selection, logistics, design, security, budgeting, sponsorship and volunteer management. 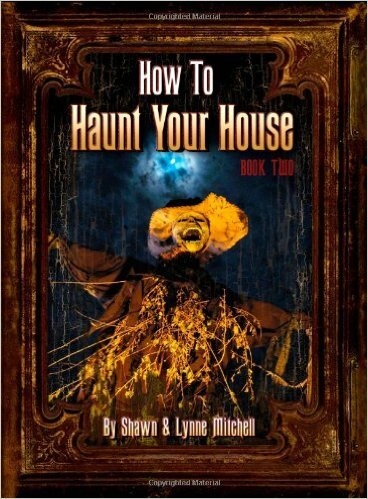 This is followed by detailed, descriptions of many inexpensive illusions for your haunted house; each is accompanied by illustrations that further explain how to make the effect successful. Floor plans, advertising flyers and design worksheets are some of the sample materials included. 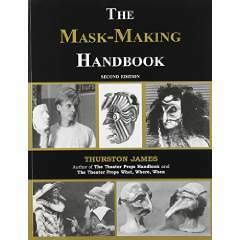 Thurston James has done wonders with his books on masks and props. Here you get a detailed look into the mask making process. Learn everything you need and how the various methods can be used. Great for those interested in the costume side of things. Makeup can make all the difference in your haunted house. Taking your makeup effects up a step to bring your creatures to life can take your haunt to the next level. 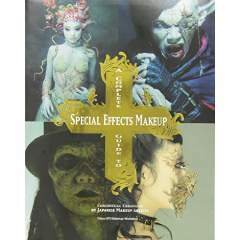 Tokyo SFX Makeup Workshop has done a wonderful job with this book covering just that special effects makeup. Learn to do burns, cuts, scraps and more. Acclaimed as the best book ever published on the subject, A Complete Guide to Special Effects Makeupcovers everything from basic facial makeup styles, simple scars and gashes, to masks, molds and cast-making; everything you need to know to create vampires, zombies and other fantastical characters. Every haunt needs props. When you first start out getting them from the big players is not always an option since a single prop can run you more than rent will cost. So your next option is to make your own. Here you will learn many techniques. 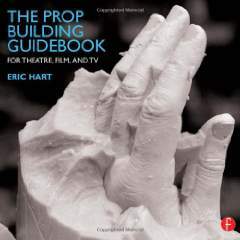 Eric Hart has done a wonderful job with this book and covered a wide range of props that you can use in your haunted house.